Possibility Enterprises are offering a large range of new products with the launch of their updated website http://www.possibilitystores.com. 'Possibility Stores The Best Products At The Best Prices.' Let us find you the unbeatable prices for the exact products you are looking to buy. Due to rapid growth and expansion Possibility Enterprises recently unveiled its redesigned website, which was originally established in 2010, with now even greater emphasis on making it easier and more convenient for customers to search and purchase thousands of top brand products. 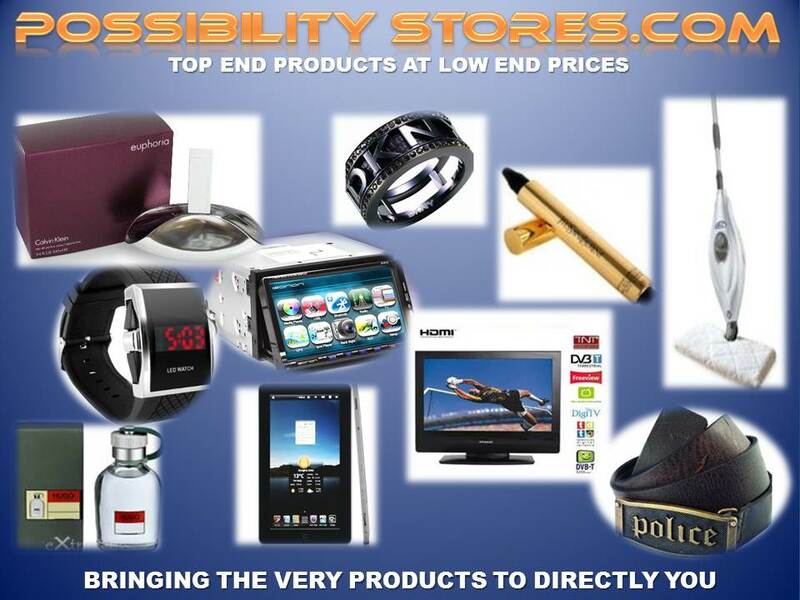 Using the unique and user friendly search engines at http://www.possibilitystores.com customers are able to find specific products fast and with ease all the while being greeted by bargain basement prices. The latest products including Android tablets, HTC mobile phones, DVD players, iPhones, iPads and more are available to browse and buy at greatly reduced costs compared to many other online retailers. “We look forward to welcoming our customers to our new site because we are sure that they will be thrilled with the range of products on offer and even more so with the unbeatable prices,” said Ferguson. Established as a family run business since 2006, Possibility Enterprises specialise in importing and exporting a wide variety of goods for the purpose of selling to the worldwide market. Catering directly to customer needs the online store offers rock bottom prices and boasts range of items such as home and domestic products, electronic products, sporting goods and much more.